I’m one of those gift givers who doesn’t consult the registry or ask for Christmas wish lists. I like to find gifts for specific people. I know this annoying for some people, especially when people ask what my kids want and I won’t hand over a list of specific things. Honestly, talking about what we want stresses me out because we don’t need anything. I don’t want Christmas to be a time for wishing more. Rather, I want to celebrate Jesus and love on people. And, yes, sometimes loving people means picking out a gift especially for them. I also like to give gifts that matter. So I want to share some ideas, most of which come from Amazon or DaySpring because those are my two favorite places to shop. “The Jesus Storybook Bible” by Sally Lloyd-Jones :: I know I’ve mentioned this Bible here before. But I love it. Yes, it’s a children’s Bible, but I read it sometimes when my kids aren’t around. Slugs & Bugs’ Sing the Bible :: This is if I was going to recommend just one Slugs & Bugs CD. Really, your kids and your friends’ kids and your neighbors should have them all. Browse the S&B Store for bundles and deals and other goodness. “Sparkly Green Earrings” by Melanie Shankle :: This book made me laugh and cry, sometimes at the same time. It’s real. She also has one marriage called “The Antelope in the Living Room,” which is also worth reading and gifting. 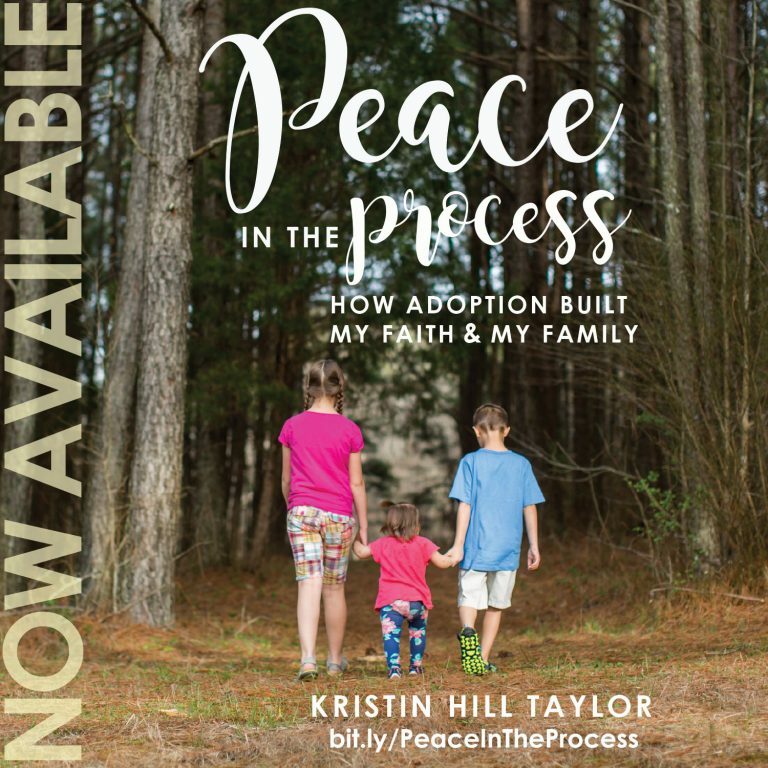 “Peace in the Process: How Adoption Built My Faith & My Family” by Kristin Hill Taylor (me!) 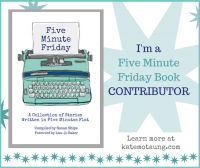 :: Yeah, I know, self-promotion. But, seriously, did you know you can gift Kindle books and people can read them on any mobile device or computer? What I learned through our infertility season, two adoption processes, and the days since applies to more than trying to become a mom. And it’s just $3.99. “Small Talk” by Amy Julia Becker :: Another memoir of motherhood, but it’s possibly my favorite. I wrote a review not too long ago, but it’s basically like advice and entertainment all in one. It helped me pause amist the chaos and remember what matters. 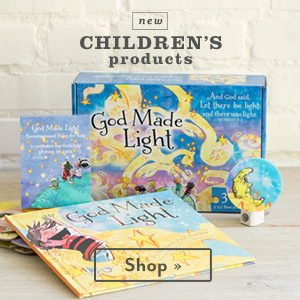 DaySpring’s Everlasting Light collection :: I love these products. I want so many more of them in my house. Nothing like pretty home decor that speaks truth. Trades of Hope products :: I especially love the bracelets and Christmas ornaments, but there are so many lovely choices. And your purchase helps empower and educate women in third-world countries. My local friend Becky is an ambassador for Trades of Hope and I’m so glad she introduced me to this company. Cookies in a Jar :: Jennifer Jackson Linck shared this idea and I’m going to make a few. Sounds like I can’t go wrong. Budget-friendly Gift Ideas :: Kayse Pratt shared all kinds of fabulous (and affordable!) gift ideas that I wanted to pass along to you. The Easiest Christmas Ornaments :: I don’t do elaborate crafts, so these are perfect for me. The kids made them for grandmas and aunts last year and their school has made them for a fund-raiser the past two years. Crafting Christmas Coasters :: This was another simple craft Cate and I made a couple of years ago as gifts for grandmas. Plus, it involves Mod Podge, so you know it’ll be fun! What would you add? Feel free to share in the comments. If you wanted to load up on some gifts from DaySpring, you can save 30% with 30FRIDAY14 through Jan. 1. Most of these links are affiliate links meaning I will get a small portion of the sales through them, but the price remains the same for you. 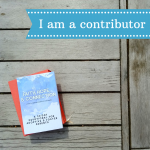 Thanks for supporting this blog. I ordered God Made Light for my daughter and after flipping through the pages while wrapping it this weekend, I can't wait to read it together. I think it will be a cherished family book for years to come. I ordered it for my kids too and ended up ordering more to gift! 🙂 Good to see you here, Victoria!